Offering direct access to the beach, this Coogee cabin is within 6 mi (10 km) of Fremantle Markets, Round House, and Adventure World. 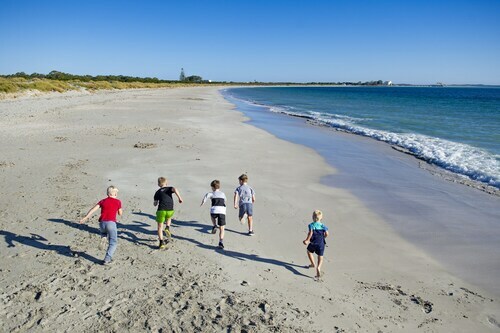 Cottesloe Beach and Claremont Showgrounds are also within 12 mi (20 km). 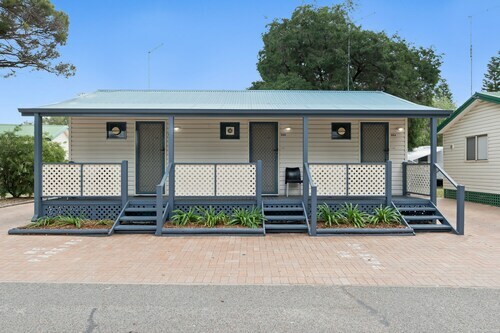 Located by the ocean, this family-friendly cabin is within 9 mi (15 km) of Fremantle Markets, Round House, and Adventure World. Fiona Stanley Hospital and Cottesloe Beach are also within 12 mi (20 km). Situated in Fremantle, this luxury hotel is within a 5-minute walk of Fremantle Markets and University of Notre Dame Australia. Fremantle Prison and Fremantle Passenger Terminal are also within 1 mi (2 km). Fremantle Station is 9 minutes by foot. Located in Perth Central Business District, this luxury hotel is within a 10-minute walk of Perth Concert Hall, Royal Perth Hospital, and Hay Street Mall. Elizabeth Quay and nib Stadium are also within 1 mi (2 km). Perth McIver Station is 11 minutes by foot and Perth Esplanade Station is 14 minutes. Positioned 20 kilometres to the southwest of Perth, the capital of the state of Western Australia, find the district of Coogee. The top features of Perth include the Kings Park and Botanic Garden and Swan Bells Belltower. Not really a morning person? You'll find a mix of enticing cafes in Coogee. An early coffee and cake at Woodman Point Cafe is an ideal way to get your day started. Wondering where to go for dinner? Look no further than Nando's. The nourishing dishes here will be sure to get your energy levels back up. If you're after a couple of beers before you call it a night, why not pull up a stool at NANNA'S? Who knows, the bartender may even be able to give you some tips on what to see tomorrow! If you and your travelling mates are having difficulties finding the ideal Coogee hotel package, check out the Munster hotels guide. Alternatively, the Wotif Beaconsfield hotels guide has options for you. From flights to accommodation, car hire to activities, we're ready and waiting to make your Coogee dreams come true. How Much is a Hotel Room in Coogee? Hotels in Coogee start at AU$85 per night. Prices and availability subject to change. Additional terms may apply. The staff were lovely. Ready to help at anytime. Polite and super friendly. Location is superb. Car parking arrangements are a bit ordinary.